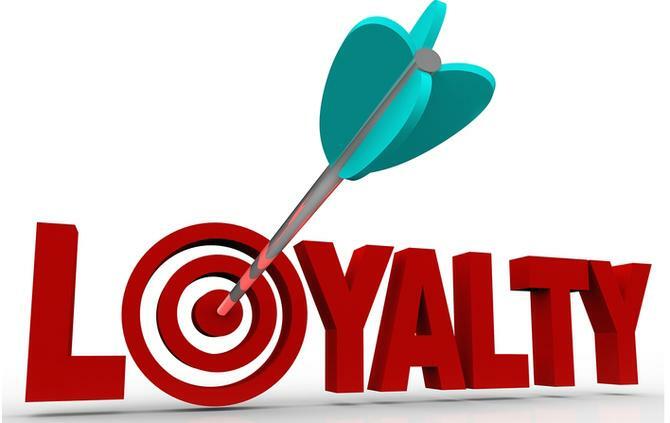 A whopping majority of Australian consumers (97 per cent) would cheat on their favourite retailers, according to a global loyalty study that revealed ‘devotion’ is a key factor of how passionate, committed and intimate consumers feel with a retailer. The ICLP study, Deeply Devoted, which looked at psychological similarities between human and brand relationships, found the majority of Australian consumers are now in less committed relationships with their favourite brands than ever before, with only three per cent feeling devoted towards their preferred retail brands. ICLP, a global agency specialising in customer loyalty programs, is behind the loyalty programs for Virgin Australia's Velocity program, as well as Harrods and Barclays. The study, in concert with relationship expert, Professor Ron Rogge of the University of Rochester, shows ‘devotion’ as key to growing high-value, enduring relationships between people and brands. It also sheds some light into what retail, finance and travel brands can do to improve customer loyalty during the holiday season and beyond. ICLP general manager, Simon Morgan, said brands today are finding it difficult to bond with their customers, and the level of choice means consumers are increasingly distracted. “Our research shows that what consumers need from a brand to build an emotional connection is very similar to what they require from relationships, with friends and loved ones. That is, good communication, reliability, consistency, reward and recognition,” he said. Morgan said the study proves just how important it is to create and maintain devoted customer relationships. ICLP surveyed 758 consumers in Australia to rate their experiences with friends and romantic partners, as well as brand relationships, on seven core relationship criteria: Recognition, rewards, reciprocity, reliability, respect, trust and communication. The study focused on three key components of a relationship: Intimacy (willingness to share information with a retailer), passion (brand enthusiasm) and commitment (loyalty), which put into a retail context, allows brands to foster increasingly devoted relationships with customers. Key findings reveal 88 per cent of ‘devoted’ customers would recommend a brand they are devoted to; 73 per cent of shoppers stated they would be encouraged to shop more with a brand if it had a loyalty programme; while 73 per cent of Australian consumers would buy more if they were better rewarded. “This emphasises the power of using personalised rewards that ‘surprise and delight’ customers to move them towards a more devoted state,” the study found. Meanwhile, 49 per cent would buy more if brands communicated with them better. “This highlights the importance of using better communications and engagement strategies to create the reciprocal sense of passion present in a devoted relationship,” the study revealed. In addition, devoted customers are the most willing group of consumers to share personal information, opinions and desires with their favourite brands, and are least likely to stray to competitors. University of Rochester's Professor Ron Rogge said the ICLP study represents “groundbreaking work” in understanding the key components of brand loyalty. “Our analyses suggested that the same seven basic types of relationships emerged for both brand and close relationships. In fact, a majority of respondents approached their relationships with favourite brands in a very similar manner to how they approached their close relationships. “Therefore, developing a strong and devoted relationship with a brand might not be so different from developing a strong and caring bond with another person, suggesting that people might buy with their hearts. This is exciting work, as it not only allows us to better understand and track the various types of brand loyalty, but it will also provide retailers with critical insights into targeting the needs and desires of specific classes of consumers in order to promote greater loyalty."